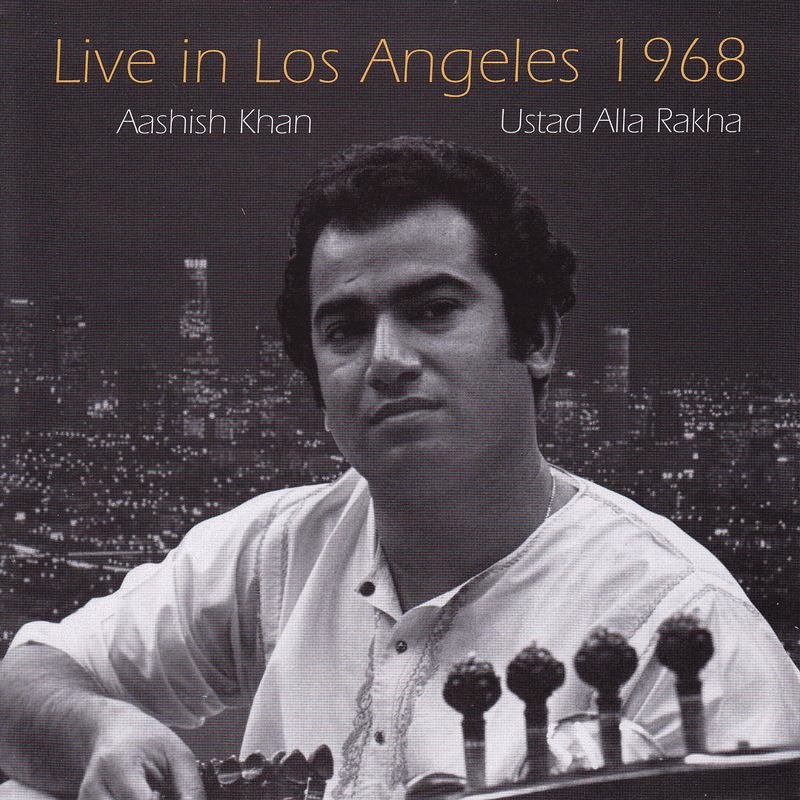 Simla House is proud to present Live in Los Angeles 1968, a live recording of two of India’s greatest musicians, Aashish Khan on sarode and Ustad Alla Rakha on tabla recorded June, 1968 before an audience of musicians and students. These musicians are world famous renowned masters of their art. 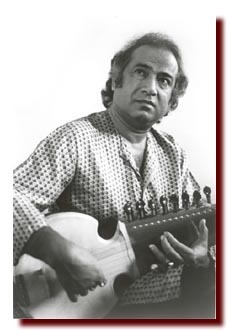 Ustad Alla Rakha (1929-2000) rose from humble beginnings to become the most famous tabla player and teacher of the mid twentieth century as an accompanist of sitar maestro Pandit Ravi Shankar and as a soloist in the Punjab Gharana (tradition) of tabla. In his life he recorded over 100 records and CDs, appeared in innumerable concerts in the most prestigious concert halls all over the world. Sarode maestro Ustad Aashish Khan hails from a musical family of the highest pedigree. He is the grandson of Ustad Allaudin Khansahib and the eldest son of master musician Ustad Ali Akbar Khan. He is one of India’s greatest living musicians and many agree that he is the premier performing artist of the sarode, the twenty-five stringed Indian lute. Today, Ustad Aashish Khan continues to maintain a busy concert and recording schedule and was nominated for a Grammy Award in 2006 for his recent recording with Ustad Zakir Hussain on Moment Records. He is also on the World Music faculty at the California Institute of the Arts in Valencia, and University of California Santa Cruz teaching North Indian classical music.When this recording was made, Aashish Khan was a young artist with a musical maturity beyond his years. He had recently arrived in the USA after spending his life in study of music under his illustrious grandfather in Maihar, India. 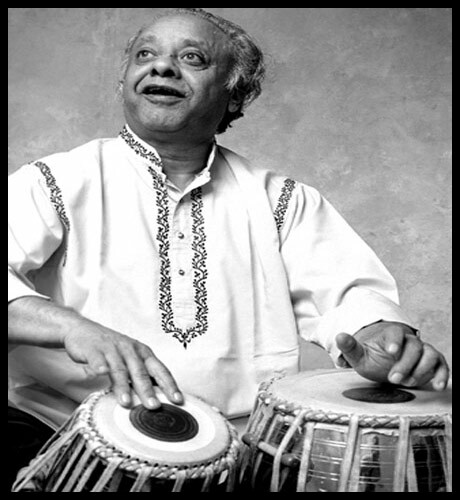 While in his early twenties, he was performing with India’s greatest percussionist of the time, Ustad Alla Rakha, who was in the prime decade of his mid forties. While many recordings can be heard of Ustad Alla Rakha accompanying Pt. Ravi Shankar, those studio recordings were limited by time restrictions and the professional relationship to the sitar maestro. On this recording, Ustad Alla Rakha is heard in a totally different environment, free from restrictions of the recording studio and deference to Pt. Ravi Shankar. He plays with joyful abandon without limitation. We believe he has never been heard on any recording in such a situation. Aashish Khan begins the performance of Rag Jhinjyoti, a joyful evening raga with the traditional Alap, the introductory segment without tabla accompaniment. He develops the raga slowly and carefully before starting the “gat” portion, where the tabla joins in. At this point we hear Ustad Alla Rakha begin with a beautiful flourish in his inimitable way as only he could do. They go on to develop the slow or vilambit gat, then the medium tempo of satsangat, (spontaneous playing together) and fast (drut gat) tempos. Released Jan 2007, we hope you will agree that this is a recording for the ages; one that displays all aspects of the spiritual majesty of North Indian music and an important archive of an incredible evening of musical performance. This entry was posted in Indian Classical, Simla House CDs and tagged CD, Live in Los Angeles. Alternatively, you may order from CDbaby here.